Young athletes feel indestructible. It’s an attitude that lets them challenge all limits. Young women are the same when it comes to health. Even the idea of breast cancer seems distant, an unlikely detour far down the road and decades from possibility. The reality is closer than most realize. In the United States alone, more than 250,000 women under age 40 are living with breast cancer, and it’s the leading cause of cancer deaths in women 15 to 54. Cancers in young women are generally more aggressive. The disease is usually diagnosed at later stages than with older women, and the survival rate is lower. The YOUNG SURVIVAL COALITION® (YSC) is a non-profit network focused on the concerns and issues unique to young women affected by breast cancer. The YSC’s core purpose is to improve the quality and quantity of life for all young women facing the challenges of breast cancer. 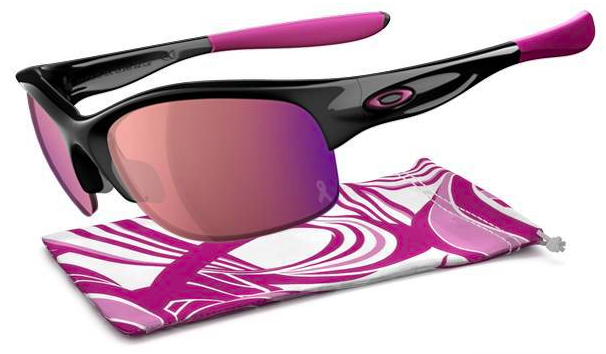 A proud partner of the YSC, Oakley is helping support its mission of Action, Advocacy and Awareness by providing $20 from each sale of this special edition sunglass and 10% from each sale of special edition apparel.